Residents and staff are celebrating after a Sanctuary Care home in Leicester received an ‘Outstanding’ rating from the Care Quality Commission (CQC). 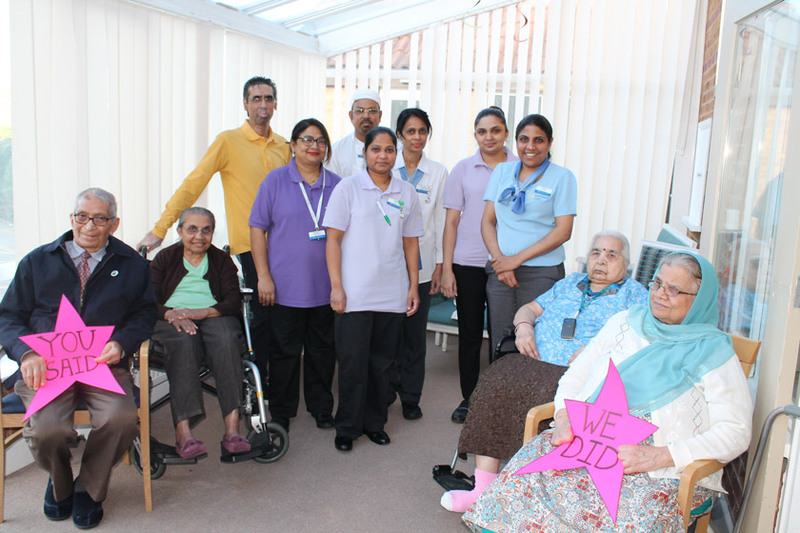 Asra House Residential Care Home, which provides residential, dementia and respite care for people with an Asian lifestyle, was awarded the highest grade by the CQC following a recent inspection. The care watchdog’s report praised Asra House for delivering “high-quality, person-centred care”, tailored to meet people’s individual needs. It described the atmosphere in the home as “warm and friendly”, adding that residents feel safe and are treated with kindness, dignity and respect. They also highlighted the home’s achievement in winning a Care Team Award at the 2018 Great British Care Awards, describing the success as evidence of its “exceptional and distinctive character”. In addition, the report noted that Asra House plays a “key role” in the local community and has good links with local temples, mosques and gurdwaras, with residents supported to attend these places of worship. Asra House is the second Sanctuary Care home to receive an ‘outstanding’ rating from the CQC this year, with Lammas House Residential Care Home, in Coventry, also receiving the highest possible result in a report published in January.